Prominent & Leading Manufacturer from Mumbai, we offer epoxy chemical anchor. 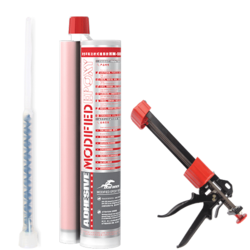 HM 500 is and 2part epoxy systems for injection chemical anchoring for vertical and flat structures . Looking for Epoxy Chemical Anchor ?